Davis Island area’s Fisher Properties Group provides full-service turn-key rental property management and real estate brokerage services. 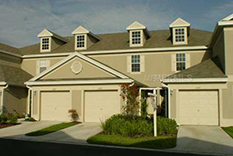 Our specialty is property management of single-family rental homes, condos and townhomes in the Tampa area. We have a long history and expertise in both the residential and commercial real estate industries. Our process allows you as an owner to entrust your investment property to a competent experienced property management team to ensure the most efficient cash flow and protection of your investment. With a canal fully separating a portion of the island from the rest of it, Davis Islands is technically an archipelago, hence the plural form "Islands" in its name. Originally, Davis Islands consisted of three islands. With the construction of the airport, however, the end of one canal was filled in to make enough land area for a runway, connecting the two largest islands at their southern ends and reducing the archipelago's island count to two. Nearly all streets on the island are named after bodies of water or islands. They are loosely arranged in alphabetical order starting with Adalia Avenue. (the first street crossed after arriving on the island from the only bridge that connects it to the mainland) and ending with Severn Avenue, the street farthest away from the bridge that leads to the main island's southernmost point, on which the Davis Island Yacht Club is situated. There are no traffic lights on Davis Islands.